With Porsche Genuine Parts, Your Porsche Will Remain an Original. World-class. Elite. Exotic. Your Porsche makes a statement. So when you’re working on repairs or upgrades, don’t even consider using anything other than genuine Porsche parts. Since 1983, Porsche purists throughout New York and New Jersey have made Town Porsche in Englewood the go-to destination for whatever they need — including a friendly, knowledgeable staff. Contact our parts department today at (201) 816-6086 to keep your project on track. Town Porsche carries a strong reputation throughout the Bronx, Rockland, Passaic, Bergen County, and beyond because we sell some of the most elite vehicles in the world. But we’re more than a place to finance or lease a new or pre-owned Porsche. We’re also a trusted provider of car parts made specifically for the high-performance models we carry. Unlike generic aftermarket options, genuine Porsche parts have been tailored to fit your vehicle and tested to meet the manufacturer’s high-quality standards. In addition to selling Porsche parts online and at our Englewood facility, we also provide the option to purchase some factory-reconditioned products. These are not only more economical for you, but they also preserve the environment and natural resources, since overhauling them consumes less energy and raw materials than new production. Of course, as with all of our parts for sale, they are original Porsche parts — complete with a two-year warranty. Installing parts on a Porsche isn’t a task that every driver welcomes. Put your trust in our factory-trained and Porsche-certified team of service experts, and we can help see your project through from start to finish. Order your parts online or call for expert assistance, then schedule a service appointment and let us do the dirty work. 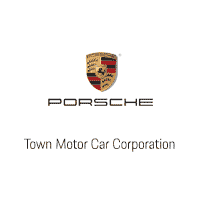 Town Porsche in Englewood, NJ, is the best place to go when your Porsche needs attention, service, or genuine parts. Call (201) 816-6086 to speak to a specialist today, and don’t forget to check out our current parts specials!